There are many spectacular restaurants in Columbus, some with national reach, others unique to the city. We love them all, but here is a listing of restaurants rom the recognized impresario of the best in Ohio dining, Cameron Mitchell, who started his empire in his hometown and continues to be a name synonymous with superb food, drink and service. The Barn at Rocky Fork Creek. At The Barn at Rocky Fork Creek, we recommend you start dinner with one of the barrel-aged Manhattans, ten different variations on this classic cocktail. There are also two bourbons available only at Cameron Mitchell’s The Barn. 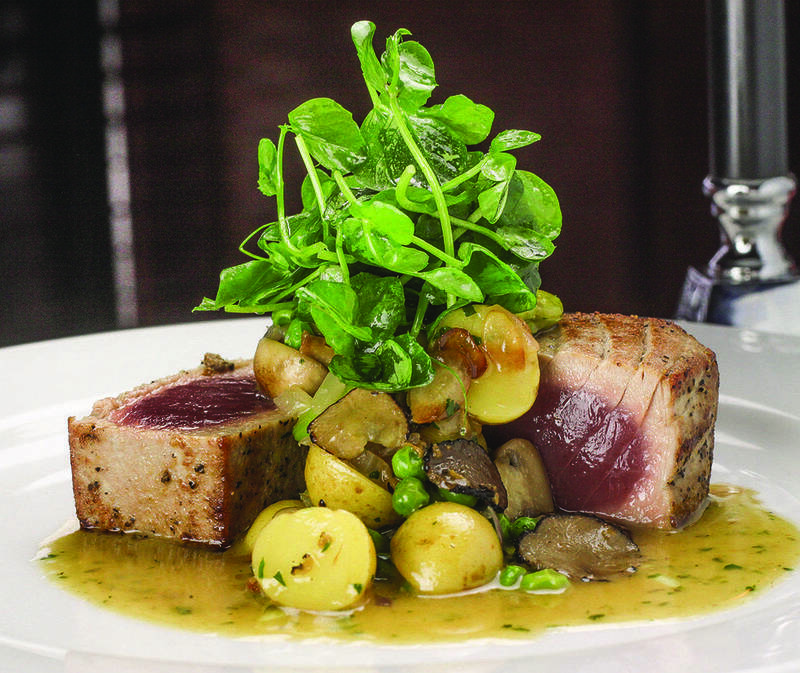 For dinner at this Columbus area gem, you can select from a range of seafood and steaks. The standouts are the beef, all raised in the Midwest, aged and then hand-cut, seasoned and broiled at 1200 degrees, perfection. The Avenue Steak Tavern. With two locations in the Columbus area, Cameron Mitchell’s The Avenue Steak Tavern serves up house specialties like Veal Milanese, Beef Stroganoff and Steak Frites, but the real show begins with the red meat: filet, porterhouse, New York strip, all U.S.D.A prime and served with a salad and a side. There’s an undeniable supper club vibe at both Avenue Steak Tavern locations, recalling a day when going out to eat was a special occasion and the servers treated you like a special person. At The Avenue Steak Tavern, they still do. Mitchell’s Steakhouse. With three locations, Mitchell’s Steakhouses offer the same high-quality menu and service you’ve come to expect at all Cameron Mitchell restaurants. 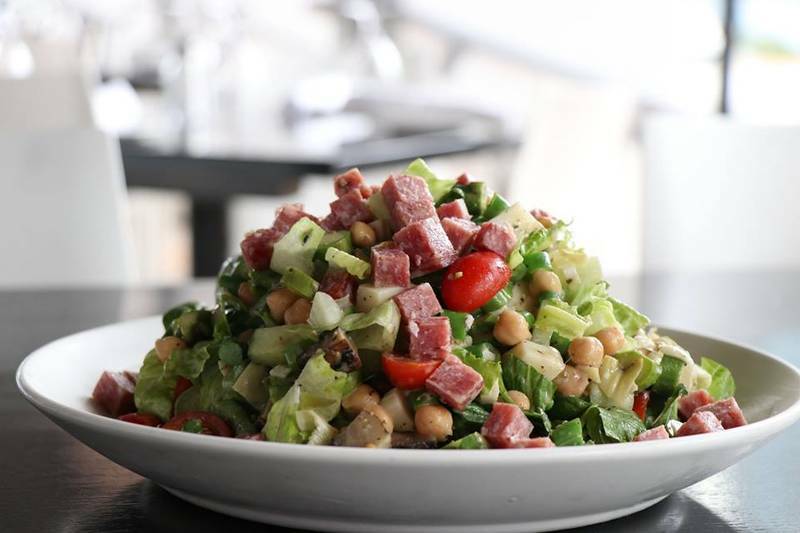 After a generous listing of cold and warm seafood starters, there are some truly exceptional salads (though we recommend having your salad after the steak; it just makes sense, physiologically, and you know you want the steak). 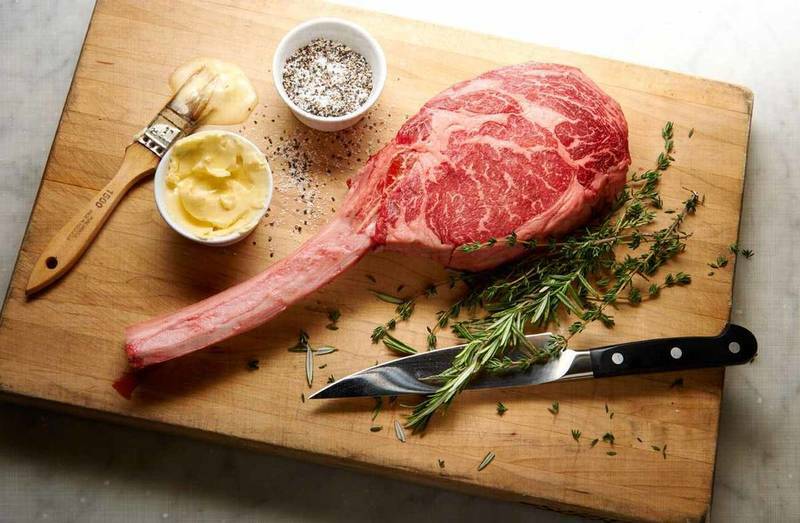 Stars like prime filet, ribeye and New York Strip are supported by a cast of signature offerings including Veal Oscar, New York au Poivre, Gorgonzola Crusted Ribeye and a U.S.D.A. Prime Burger that will blow your mind. Mitchell’s Ocean Club. With a seafood-focused menu, Mitchell’s Ocean Club offers a truly remarkable range of aquatic deliciousness, including classics like Oysters Rockefeller as well as a number of sushi options. Of course, there’s steak, broiled at 1200 degrees, and set on your plate with a variety of condiments including black truffle butter, bearnaise and Maytag blue cheese crust. The desserts here are also epic, and we recommend the undeniably over-indulgent ten-layer carrot cake. Hyde Park Prime Steakhouse. 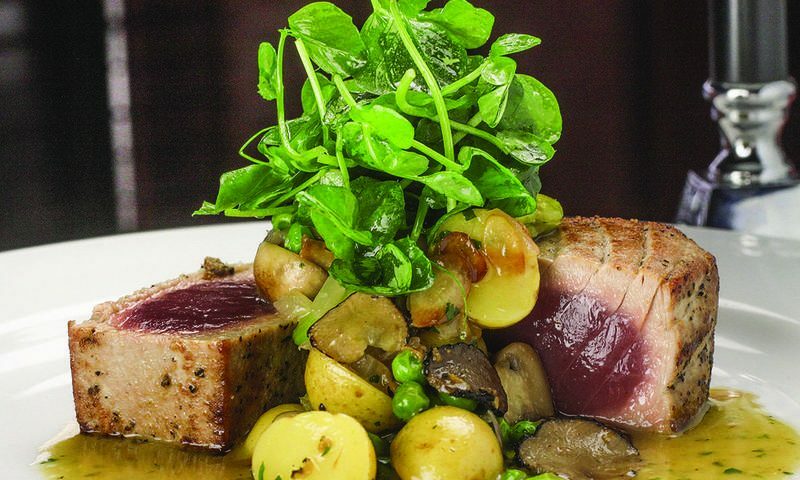 Okay, we admit, this isn’t a Cameron Mitchell restaurant, but like Cameron Mitchell himself, the Hyde Park Prime Steakhouse is a true Columbus original, one-of-a-kind. The steak menu is divided into traditional and specialty, and in the latter section you’ll find the incomparable Steak Cabernet, a beautiful marriage of filet and a sauce of the red wine that goes so well with steak. There’s also Garlic steak, adorned with delicious cloves of the “stinking rose.” Those who truly know steak will zero in on the 100% Japanese Wagyu and Australian Wagyu, as well as a ribeye aged 26 days and a truly magnificent bone-in New York strip steak aged 40 days.